The February 2017 Meetup of The Windows Developer User Group is scheduled for February 20th from 6-8 PM @ Improving Ohio Office. Please see details below & kindly RSVP. Cross-platform mobile development has been democratized for .NET developers – thanks to Xamarin & Microsoft. Let’s build a cool aviation app together – targeting all platforms from the comforts of Visual Studio or Xamarin Studio. Real world apps need design, cloud data connectivity, navigation, storage, lifecycle management and polished UI – let’s do all that. Oh, and we will throw in some passion for aviation in the app, like private jets and supersonic possibilities. 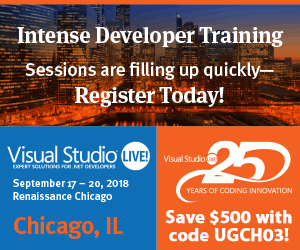 Loads of fun while learning cutting-edge mobile development – you in? Sam Basu is a technologist, author, speaker, Microsoft MVP, gadget-lover and Progress Developer Advocate for Telerik products. With a long developer background, he now spends much of his time advocating modern web/mobile/cloud development platforms on Microsoft/Telerik stacks. His spare times call for travel, fast cars, cricket and culinary adventures with the family. You can find him on the internet.